May 23, 2016 in 2016, General Media Release. Cancer Council has issued a consumer alert about the amount of salt contained in pre-packaged foods, warning that 94 per cent of Queenslanders don’t know the daily limit for salt intake. Cancer Council Queensland’s Everyday Health Survey found only six per cent of Queenslanders were aware of the recommended daily adult intake of sodium to prevent chronic disease – 1600mg. Research shows Australians eat around 4000mg of sodium per day (about two teaspoons) – more than twice the amount recommended by the WHO to prevent chronic disease. Cancer Council Queensland spokesperson Katie Clift said many Queenslanders were unknowingly consuming high levels of salt in their daily diets. “Most people would be shocked to learn that cereals and cereal products contribute an estimated 32 per cent of salt intake from processed foods in an average diet,” Ms Clift said. “For many Queenslanders, salt intake mounds up during a typical day – with high levels of sodium in packaged and processed foods, in sauces, and on top of the table salt some of us add during cooking or to season meals. 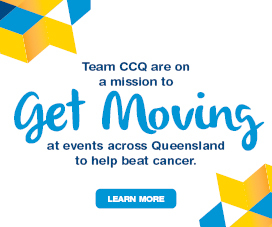 “We urge Queenslanders to limit their salt intake to 1600mg every day to reduce the risk of preventable chronic disease, including some cancers, and to maintain a healthy weight. “Just 100g of leg ham exceeds the daily limit, with 1650mg of sodium. 100g of bacon has 2000mg of sodium, and 100g of some popular spreads contains up to twice the daily recommended amount of sodium, with 3000mgs. “Two pieces of bread contain about 450mg of sodium – one quarter of a person’s daily salt intake target. Salt is a leading cause of high blood pressure and cardiovascular disease, and may increase the risk of stomach cancers. Australian adults should consume less than 1600mg of sodium per day to reduce chronic disease, with 2300mg the maximum daily upper limit. The daily recommended maximum amount of salt children should eat depends on age – from 1000mg for children aged 1-3 years, to 1400mg for children aged 4-8 years, 2000mg for children aged 9 to 13 years and 2300mg for children 14 years and over. Australian Dietary Guidelines recommend Queenslanders limit salt intake and avoid added salt while cooking or at the table. Research shows around 36 per cent of Queensland adults over 19 frequently or occasionally add salt to meals at the table, and 46 per cent add salt when cooking. 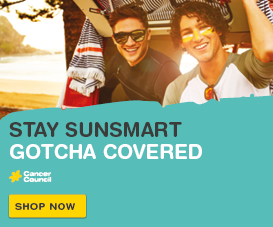 Cancer Council has released practical advice for Queenslanders to help limit their daily salt intake. “Find alternatives to salt to spice up a meal – like fresh herbs instead of bottled sauces, table salt or packet mixes,” Ms Clift said. “Purchase ‘no added salt’ or ‘low salt’ foods when shopping, eat more fresh fruits and vegetables and limit processed and take-away foods. “Get in the habit of reading food labels and choose lower sodium options. Aim for foods with less than 400mg per 100g, or better still less than 120mg per 100g. 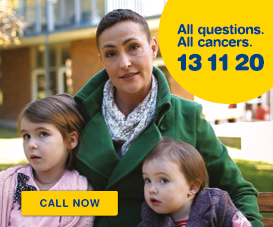 More information about Cancer Council Queensland is available at cancerqld.org.au or 13 11 20.